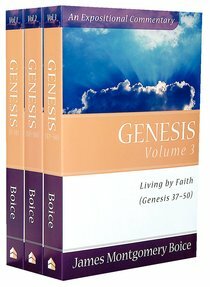 A set of three newly repackaged editions of classic commentaries from James Montgomery Boice who discusses the events of Genesis and how they set the stage for all of Scripture. 1,392 pages, from Baker. About "Genesis (3 Volume Set) (Expositional Commentary Series)"